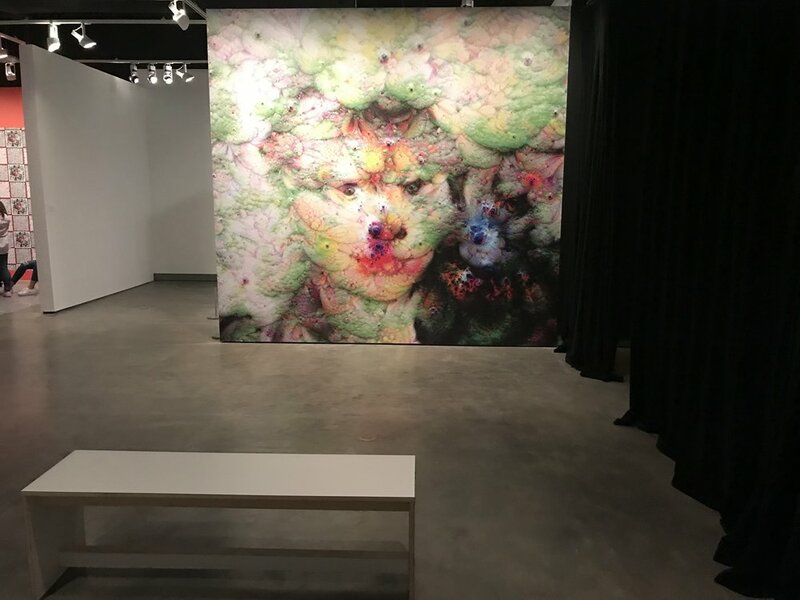 Paradox: The Body in the Age of AI is show at the Miller Gallery at Carnegie Mellon University. This show caught my attention because it is contemplating a connection between the body and the AI from an unusual angle—a complex knowledge system within body that underlines human thought. I can see here a conceptual parallel to Natasha Meyer’s notion of bodily knowledge and to the Hans Moravec Paradox of artificial and natural sensorimotor habitat of human consciousness. The idea of such a complex unconscious knowledge system does open many spaces to explore: freedom or independence of thought, conscious vs unconscious, border between the mind and the body, how are our bodies defined socially and politically by our environment? How would our bodies be categorized in the age of algorithms? How would such algorithmic environment influence our existence thru our bodies? Paradox is curated by Elizabeth Chodos, director of the gallery.